Wat is dit voor site? Wij zoeken de goedkoopste boeken op internet. 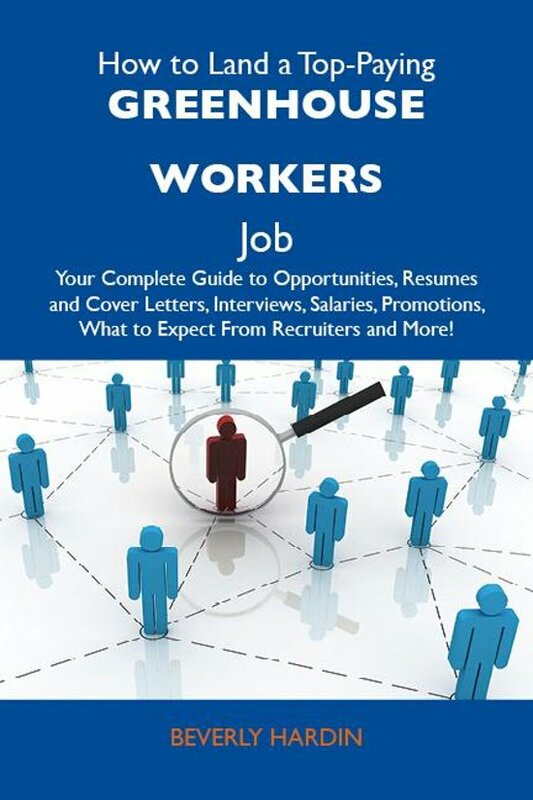 How to Land a Top-Paying Greenhouse workers Job: Your Complete Guide to Opportunities, Resumes and Cover Letters, Interviews, Salaries, Promotions, What to Expect From Recruiters and Morevonden we het goedkoopst op Bol.com voor €14.99. We hebben gezocht in nieuwe en tweedehands boeken. Rechtsonderaan de pagina kan je het boek direct bestellen	via Bol	.com. For the first time, a book exists that compiles all the information candidates need to apply for their first Greenhouse workers job, or to apply for a better job. Think that 'companies approach hiring with common sense, logic, and good business acumen and consistency?' Think that 'the most qualified candidate gets the job?' Think again! Time and again it is proven that finding a job is a highly subjective business filled with innumerable variables. The triumphant jobseeker is the one who not only recognizes these inconsistencies and but also uses them to his advantage. Not sure how to do this? Don't worry-How to Land a Top-Paying Greenhouse workers Job guides the way. Highly recommended to any harried Greenhouse workers jobseeker, whether you want to work for the government or a company. You'll plan on using it again in your efforts to move up in the world for an even better position down the road. This book covers everything. Whether you are trying to get your first Greenhouse workers Job or move up in the system, get this book.